Ellie is a third year medical student at Geisinger Commonwealth School of Medicine in Scranton, Pennsylvania. She received a Bachelor of Science in Bioengineering from the University of Pennsylvania in 2014. After graduation, she spent a year serving at a Federally Qualified Health Center in Pittsburgh, Pennsylvania through an AmeriCorps program. Her role as a health care navigator included managing care for recently resettled refugees, women suffering from addiction, and a significant portion of the deaf population in Pittsburgh. 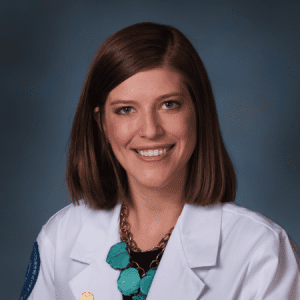 During her first year of medical school, she co-chaired the Breast Cancer Awareness Committee through her school’s chapter of AMWA and was elected as Vice President of her chapter the following year. Additionally, Ellie served as the Vice President of her school’s ACOG chapter and is an active member of her school’s chapter of Medical Students for Choice. Her current research is directed at increasing access to women’s wellness care for HIV positive women in Scranton. During her free time Ellie enjoys listening to podcasts, practicing yoga, and playing with her cat, Scout.